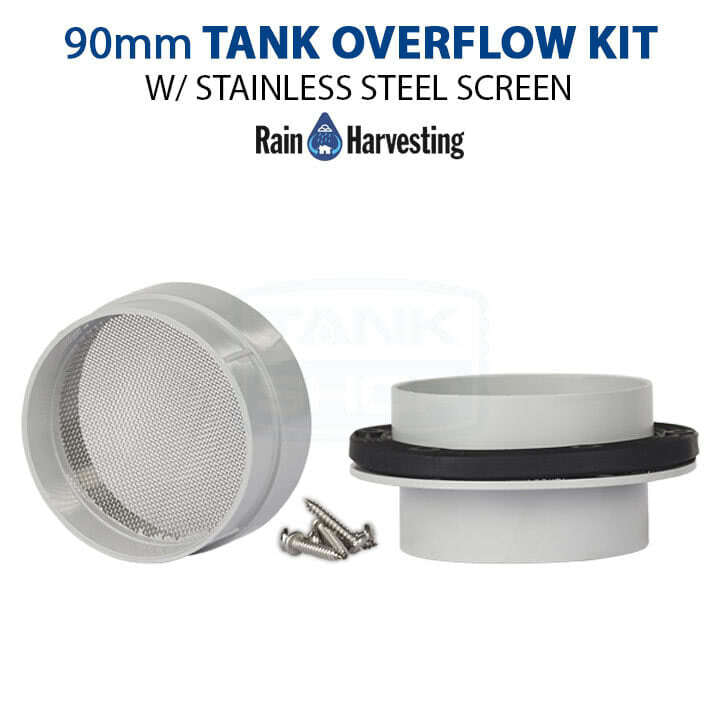 The 90mm Standard Tank Overflow Kit (TATO45) comes with 90mm outlet, gasket, mosquito-proof "Mozzie Stoppa" stainless steel screen and screws. Everything you need to install is in the box to help make installation a breeze. 90mm standard tank overflow, stainless steel mosquito-proof screen, rubber gasket, stainless steel screws. The 90mm Standard Tank Overflow Kit (TATO45) comes with 90mm outlet, gasket, mosquito-proof “Mozzie Stoppa” stainless steel screen and screws. Everything you need to install is in the box to help make installation a breeze.